WARRANTY LOADED PLATINUM ALL NEW 20" TIRES NAV 3D CAMERA 3RD ROW LEATHER HEATED WHEEL & SEATS BOSE SOUND 110V PLUG ALARM SMART KEY PARK SENSORS POWER TRUNK ABS REAR CONTROLS 3 ZONE TOW PACKAGE BLUETOOTH This is the ultimate premium suv with all the power upgrade options included. All books, smart key and entry with push start. 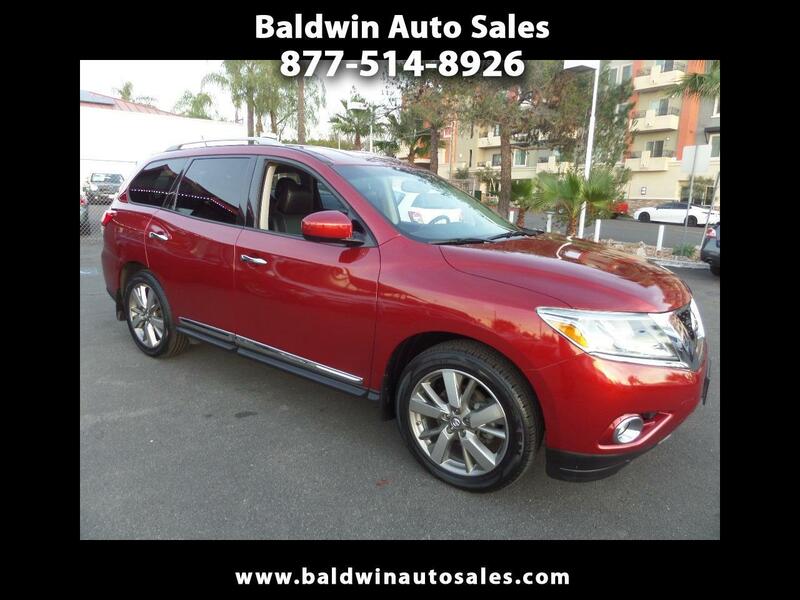 Beautiful vehicle with wine metallic paint and non smoker premium leather seating. Runs smooth, fast and tight with the legendary 3.5 v6 motor. A 5tear/100k mile additional service contract is available and can be used at any Nissan dealer nationwide. Must see this one priced well below KBB and the market for this excellent condition.